Are you looking for a cosmetic procedure that will enhance your smile? What would you say if I said it was possible without having to endure the pains of shots and drilling? Would you believe me? Would you give it a try? It’s true. Now you can have a brand-new smile without the painful procedures with Snap On Smile. Snap On Smile is a new, innovative cosmetic procedure that only takes two simple visits. After your impressions have been taken, your Snap On Smile will be made from a strong, stain-free resin that can be snapped in and out over your natural teeth. No, they aren’t dentures. Snap On Smile is made from a crystalized resin, this material is thin, flexible and fits comfortably against your teeth and gums. By using the natural curvature of your teeth your Snap On Smile is able to stay in place. Snap On Smiles are customizable, which means your dentist will help choose the tooth shape and whiteness level you prefer. Avoid living with gapped, chipped, or stained teeth. Snap On Smile may be the solution for you. If you think it’s time to rejuvenate your smile, schedule an appointment with your dental professional to find out if you are an ideal candidate. If you’re interested in learning more about Snap On Smile, contact Dr. Larry Lieberman, DDS at 727-785-8017 to schedule a consultation today. Or visit www.dentist-lieberman.com for additional information. This entry was posted in Cosmetic Dentistry, Family Dentistry, General Dentistry, Restorative Dentistry and tagged chipped teeth, Cosmetic Dentistry, damaged teeth, dental restorations, family dentistry, general dentistry, North Palm Harbor FL, Oral Care, Snap on Smile on May 24, 2017 by admin. Long-term oral health. Bone and tissues loss occurs underneath dental bridges where the tooth was missing or extracted, which can cause the remaining teeth to become unstable. Dental implants, on the other hand, are the only dental restorations that simulate bone growth, which preserves both the bone and gums. Oral hygiene. Using a specific type of floss and other dental tools are required to clean underneath the dental bridge and to keep them free of plaque. Dental implants require excellent oral hygiene, but can be brushed and flossed just like natural teeth. Appearance. While modern bridges look natural, as the bone and gum tissue are lost over time, gaps can form underneath the dental appliance. Dental implants deliver the high-quality aesthetic results. 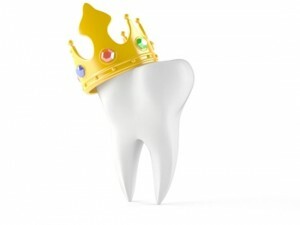 The crown arises through the top of your gums in the same way a natural tooth would. If you’re interested in learning more about cosmetic dental options, contact Dr. Larry Lieberman, DDS at 727-785-8017 to schedule a consultation today. Or visit www.dentist-lieberman.com for additional information. This entry was posted in Bonding, Cosmetic Dentistry, Crowns, Dental Bridge, Dental Implants, Family Dentistry, General Dentistry, Oral Health, Restorative Dentistry and tagged Bonding, bridges, Cosmetic Dentist, Cosmetic Dentistry, crowns, Crowns and Bridges, Dental Crowns, Dental Implants, dental restorations, family dentistry, general dentistry, Oral Care, Oral Health, Oral Hygiene, Palm Harbor FL, Restorative Dentist, Restorative Dentistry, smile makeover, Snap on Smile on April 30, 2017 by admin. Are you looking for a cosmetic procedure that will enhance your smile? Are you also looking for a procedure where you will not have to endure the pains of shots and drilling? Thanks to Dr. Lieberman, you can have the best of both worlds with Snap On Smile! Snap On Smile is a new, innovative cosmetic procedure that only takes two simple visits to Dr. Lieberman’s office. After your impressions have been taken, your Snap On Smile will be made from a strong, stain-free resin that can be snapped in and out over your natural teeth. Schedule an appointment with Dr. Lieberman today if you think it is time to rejuvenate your smile. Avoid living with gapped, chipped, or stained teeth because Snap On Smile may be the solution for you. For more information about how Snap-on Smile will drastically enhance your dental imperfections call Dr. Lieberman in Palm Harbor, FL at 727-785-8017 or visit www.dentist-lieberman.com. Dr. Lieberman also proudly accepts patients from Palm Harbor, Clearwater, Oldsmar, Tarpon Springs, Tampa, Eastlake, and surrounding areas. This entry was posted in Cosmetic Dentistry and tagged Cosmetic Dentistry, Palm Harbor FL, Snap on Smile on August 7, 2014 by admin. 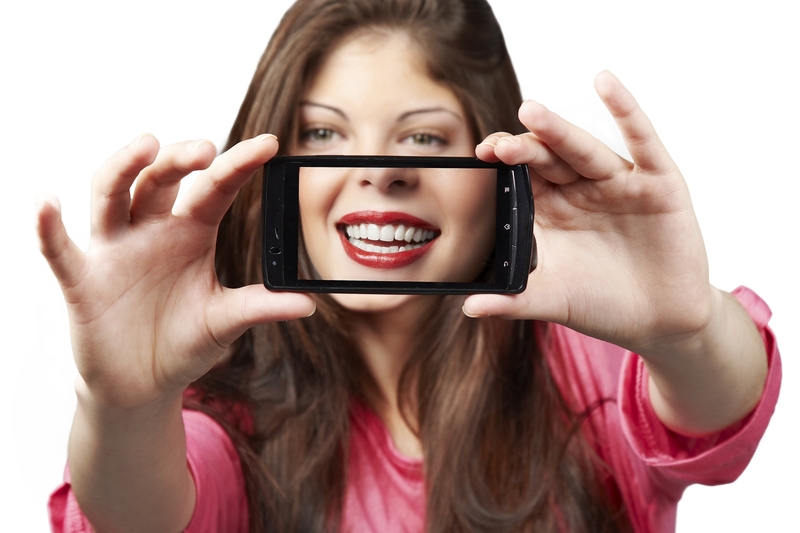 North Palm Harbor Dentist | Snap On Smile! If your dentist claims that you are illegible for dental implants, it is not the end of the world! Thanks to Dr. Lieberman and his integration of advanced dental technology, patients can have the smile of their dreams with Snap on Smile! Snap on Smile is ideal for patients with missing or crooked teeth and perfect for those individuals who are terribly afraid of drills and shots. The process of having a Snap on Smile is simple yet highly effective. First Dr. Lieberman will take impressions of your teeth in order to custom make a strong resin that snaps in and out over your natural teeth. Snap on Smile is completely natural looking and completely affordable. So don’t let money or you fear of the dentist keep you from achieving a rejuvenated smile. For a reliable doctor in the city of North Palm Harbor, call Dr. Lieberman today! For more information on how Snap on Smile can rejuvenate your smile call Dr. Lieberman in North Palm Harbor, FL at 727-785-8017 or visit www.dentist-lieberman.com. Dr. Lieberman also proudly accepts patients from North Palm Harbor, Safety Harbor, Palm Harbor, Clearwater, Dunedin, Tarpon Springs, New Port Richey, Trinity, and surrounding areas. This entry was posted in Cosmetic Dentistry and tagged Cosmetic Dentistry, North Palm Harbor FL, Snap on Smile on May 4, 2014 by admin.